Steven Spielberg will direct American Sniper, based on the autobiography of Chris Kyle, a Navy SEAL (and Texas native) who became a military assassin and recorded more kills than any other American. 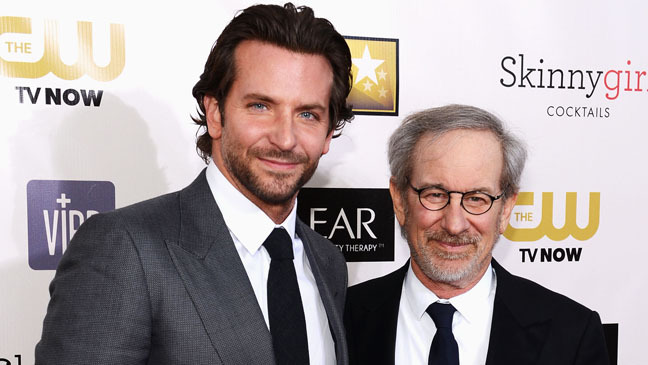 Bradley Cooper has been developing the project; he will serve as a producer and play the title role. Jason Hall has completed a script, and production is tentatively scheduled to begin early in 2014. Born in Odessa, Kyle enlisted with the U.S. Navy in 1999 and served four tours of duty. He was wounded in service twice and was awarded the Bronze and Silver Star medals multiple times. He was honorably discharged in 2009 and wrote about his experiences in American Sniper: The Autobiography of the Most Lethal Sniper in U.S. Military History, which became a bestseller after its publication in January 2012. He was shot and killed by a fellow military veteran he was endeavoring to help in February of this year. Cooper’s production company acquired the big-screen rights to the book in May 2012. He received an Academy Award nomination as Best Actor for his performance in David Russell’s Silver Linings Playbook, losing out to Daniel Day-Lewis in Lincoln, directed by Spielberg. He is currently filming Russell’s followup, American Hustle, which is due out at the end of the year; it’s based on the ABSCAM scandal of the late 70s / early 80s. He will next be seen in The Hangover Part III, heading to theaters on May 24. As for Spielberg, he put production for science-fiction action-thriller Robopocalypse on hold in January of this year, stating that he “found a better way to tell the story more economically but also much more personally. .. I’m starting on a new script and we’ll have this movie back on its feet soon… I’m working on it as we speak.” Theoretically, Spielberg could finish up work with the writer(s) on the script for Robopocalypse and then move on to American Sniper. Or he could just leave the robo-action flick for another director to pursue. Spielberg has not tackled anything approaching contemporary life — without a fantasy or science-fiction angle — since the beginning of his career. (The Terminal (2004) was set in the modern day, but that verges on fantasy territory.) His first feature, The Sugarland Express (1974), was inspired by a true incident and was set in Texas, following a husband and wife who kidnap first their infant son and then a police officer; they end up pursued by dozens of law enforcement officers across the state of Texas (toward Sugarland, of course). Though I haven’t read Kyle’s book, it evidently spends a fair amount of time with his wife as she deals with his military career and the strains that it places on their relationship. The book is 448 pages in paperback, so obviously big chunks will have to be condensed or omitted for the big screen, as always, so it will be fascinating to see what it is, in particular, about Kyle’s story that has drawn Spielberg. Clearly he has respect for the military, so that’s not an issue, but can he get out of his own way, as a director, as he tried to do with last year’s Lincoln? If all goes well, American Sniper could be heading to theaters in late 2014. Source: The Hollywood Reporter. Portions of this article originally appeared in somewhat different form at Twitch.